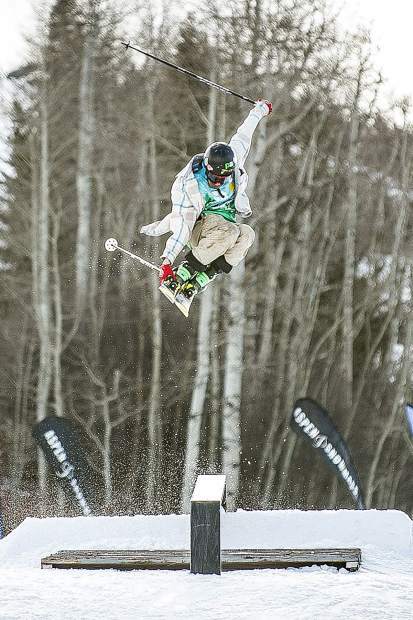 Zach Ryan boosts onto a rail at the Bud Light annual Thanksjibbing rail jam at Snowmass on November 24, 2017. 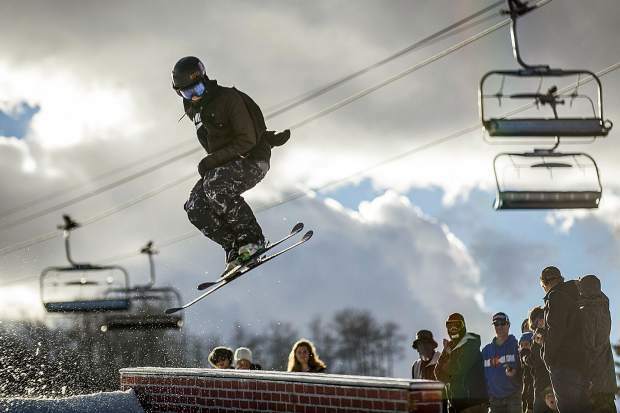 Cassidy Jarrell spins onto a rail at the annual Thanksjibbing Rail Jam hosted by Bud Light at Snowmass Mountain on November 24, 2017. Jarrell placed third with two other locals on the podium with him. 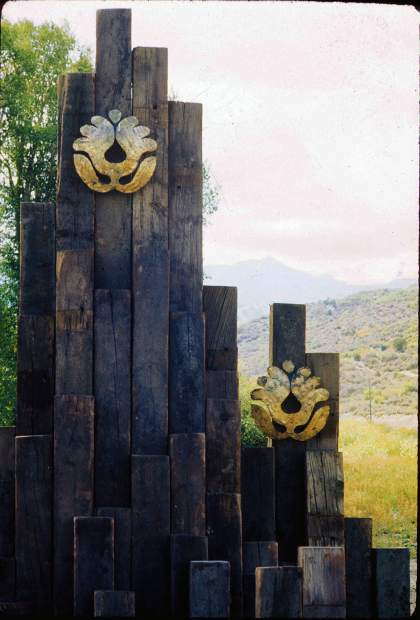 The podium for the Bud Light annual Thanksjibbing Rail Jam on November 24, 2017 at Snowmass Mountain. 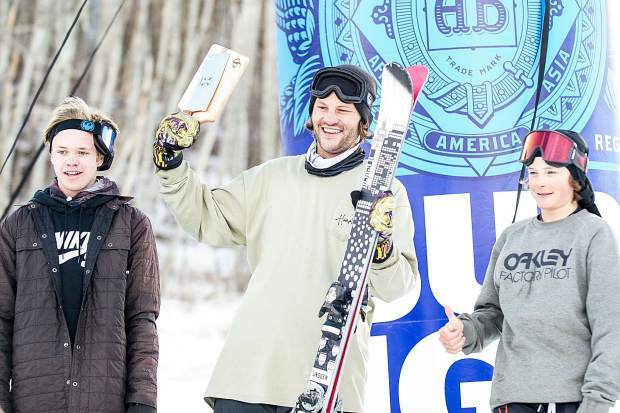 The ski podium was all locals with Charlie Lasser in first, Tristan Feinberg, second, and Cassidy Jarrell, left, in third. 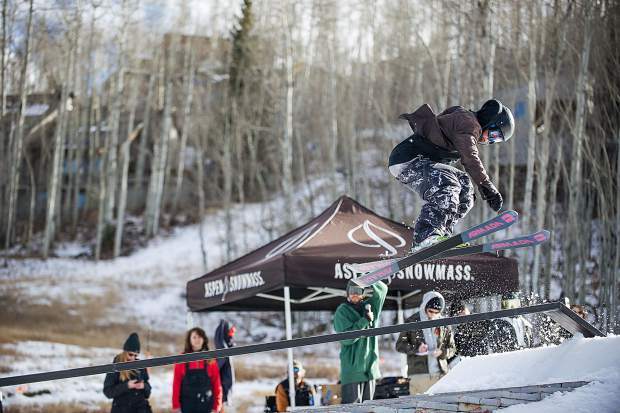 Cassidy Jarrell spins onto a rail at the annual Thanksjibbing Rail Jam hosted by Bud Light at Snowmass on Nov. 24. Jarrell placed third at the podium. 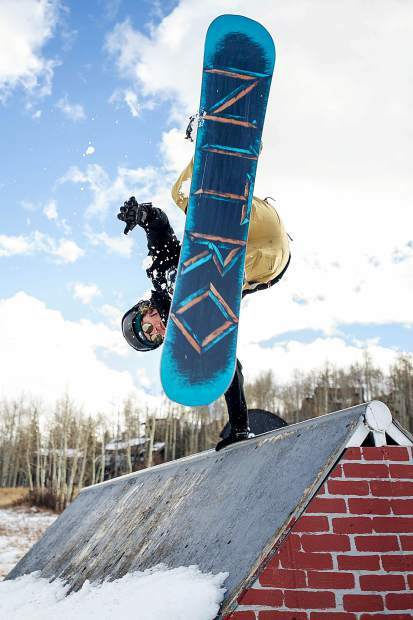 Mark Noonan does a handplant off of one of the features at the annual Thanksgiving Rail Jam in Snowmass on November 24, 2017.